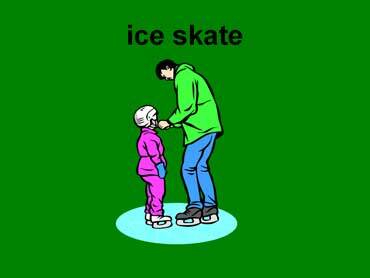 The father is teaching his daughter how to ice skate. They are wearing ice skates on their feet. 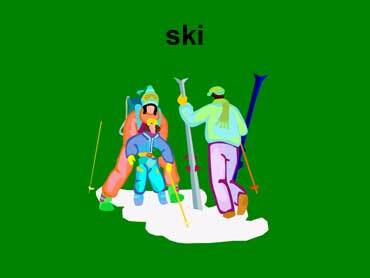 The parents are teaching their child how to ski. They are wearing warm clothes. 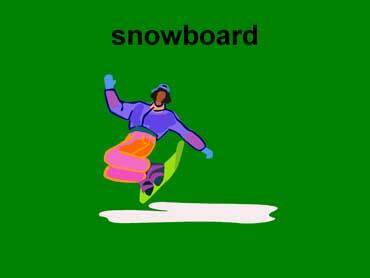 Snowboards are large wide boards with special boots attached to their top side. Copyrights to the pictures and photos on this ESL Lesson and EL Civics website belong to individual photographers. We have purchased the rights to use them. Contact Christina Niven at christina@elcivics.com. Please send corrections and requests for new lessons. Copyright © Christina Niven, 2007.